almost finished implementing game engine. Player and women interact as they have to. Still working on bad guys :). No another screenshot , because all day I was working on deep engine stuff, preparing all framework from scratch. Some more info: your target will be to reach point goal as fast as possible by marrying and divorcing with women. There will some challenges , like enemies – random guys from nowhere – who can take your place by marrying another women and not letting you to get enough points to win. Also there will be enemies-guys , who will be able to steal your wife and as you know – you only get one wife at the time :). Tomorrow top priorities: to finish bad guy class and start working on graphics and sound. Hello folks, today i’ll post a beginning project that I’m working in this last month. They’ll call SELECT S.A., and will be a mix of Missile Command… with reverse screen. Yeah, that’s a pretty good definition. The project born in the Ludum Dare with the theme “You are the villain”, and after the event i started the planning, script, test and everything else. 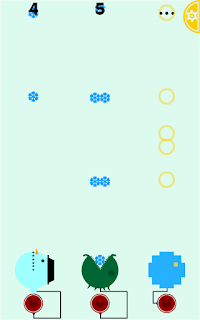 In this month I start to code it in AS3 (same code that I used in the LD) and i’m thinking about make this game in Unity because he doen’t work fluently in old android phone. Alright, that’s not a excuse if the game needs power of processing… but the fact is: the game doesn’t need too many power. I just think to make this changes after i see the game Gunslugs work very smoothly in my smartphone (an Xperia X10 from 2009). If they make all of the game so nicelly, I have to make some at least similar in my game too, but the fact is: it will be a spend of time. So, I’ll finish this one in as3, and the next ones in UNity or other mobile languages. Here i’ll let some images of the game until now. [F]irst post, Cthu says Hello! Wanted to participate in LD-s for quite a bit, but never had time. Or motivation. Or skills. Still lacking in all of the departments, but lets see how it goes this time. Ok, getting ready for a beauty nap.